Boston, MA (June 27, 2018) – Police in Boston responded to 1415 Dorcester Avenue on Tuesday amid reports of a car vs. bicycle collision. Officer Richard Anthony Errico was among the first to arrive on scene of the crash. There, he discovered a bicyclist suffered from injuries sustained in a crash with a motor vehicle. The motor vehicle operator stayed on scene to speak with Boston police officers. Boston EMS units also responded to the scene of the crash to treat the injured bicyclist whose name has not been released. Police worked the scene, taking witness statements as well as physical measurements to determine what caused the crash. There is no word on the condition of the bicyclist. The vehicle driver was not charged as of Tuesday and there is no word on whether charges are expected. When you are hurt in a bicycle accident it is easy to feel like your world has been turned upside down. 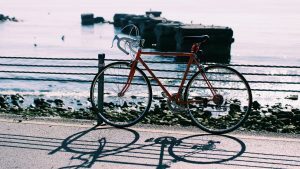 Bike accidents happen when you are least expecting them to occur. In these cases, you are likely to have many unanswered questions about what happens next. When you are facing this situation, you must turn to an experienced personal injury attorney in order to ensure that your legal rights are protected following a bicycle accident. At the Law Offices of Jeffrey S. Glassman, we are experienced, knowledgeable and compassionate Boston personal injury attorneys. We possess substantial experience in both negotiation as well as litigation of bicycle injury cases. Our group has successfully handled thousands of cases and has recovered millions of dollars for innocent accident victims all across Massachusetts. We have been specially trained to provide support as you go through the process of healing, recovery and eventually a resolution of your legal claims. When you hire us we work on a contingency fee basis which means we receive no attorney fees unless you also recover for your injuries. There is absolutely no obligation on your part, even if you decide to hire us to take your case. If you would like to speak with someone about your Massachusetts bicycle injury claim today, please give us a call at 617-367-2900. The call is free and we would love to hear from you. We are always open to take your call.